There can’t be many sailing boats inspired by a combination of distance racing in the Pacific Northwest and rowing solo across an ocean, which is one reason I found the Lite XP so intriguing when I came across it at Germany’s Boot Düsseldorf show back in January. Liteboat founder Matthieu Bonnier is a veteran of both the Race to Alaska (R2AK) and various long-distance solo rowing adventures, including an Atlantic crossing and a transit of the Northwest Passage. The 20ft Lite XP is his concept of a small, simple yet versatile expedition cruiser powered only by wind and oar, drawing only a few inches with the ballasted centerboard and rudder raised and able to sneak into places where bigger boats dare not venture. There are berths for two in the cuddy, and a cockpit tent expands the accommodations. 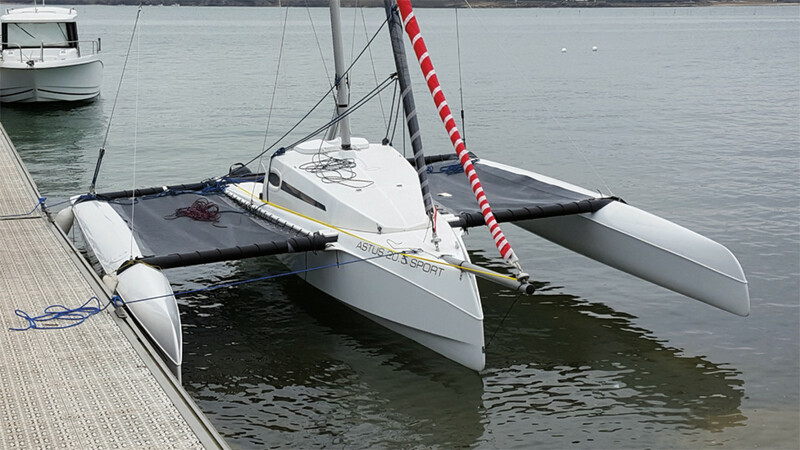 The rig is an unstayed two-piece carbon fiber spar, the top part of which is buoyant, upon which a boomless mainsail and a gennaker are set. When the wind drops, carbon fiber sculling oars are deployed from a sliding rowing seat. Should you want to haul the boat onto a beach, a pair of launching wheels can be clipped on. Thanks to its vacuum-infused foam sandwich construction incorporating carbon-fiber reinforcements in key areas, the Lite XP weighs in at under 400lb fully equipped. Even if you’ve no plans to do the R2AK or the other race that’s tailor-made for this boat—the WaterTribe Everglades Challenge from Tampa Bay to Key Largo—the Lite XP looks like an excellent weekender for the minimalists among us. 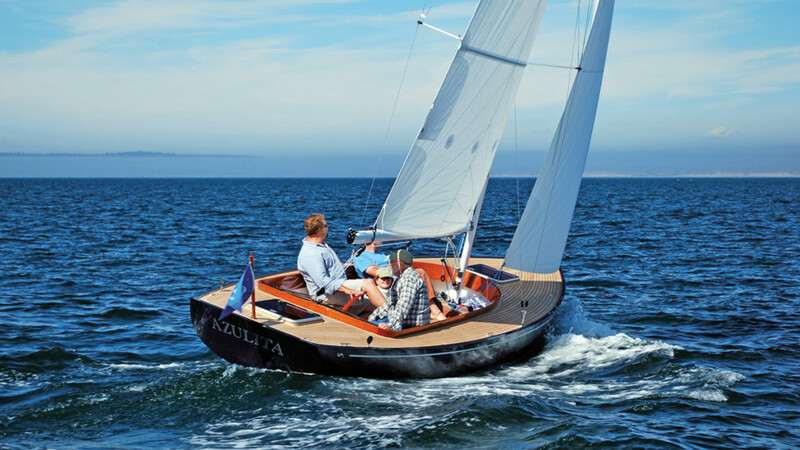 Speaking of minimalist, the traditional daysailer category has an attractive new débutante in the Hood 24, from the board of Belfast, Maine, based naval architects Stephens Waring Yacht Design, and now being built by Marblehead boatbuilder Chris Hood, well known for his beautiful C.W. Hood 32 daysailer. Although the Hood 24’s lines are timelessly classic above the waterline, she sports a modern underbody with a spade rudder and bulb keel. A generous sailplan combined with light displacement gives her plenty of horsepower. With room for six in her large cockpit, she’ll be a rewarding daysailer for family and friends. A 24ft daysailer of a completely different stripe, the Corsair 760R targets adrenaline junkies who are not content to amble along at single-digit speeds. It’s based on the hull and floats of the other boats in the 760 folding-wing trimaran line, but with the accommodations stripped out and the cabintop pared down to make way for a longer cockpit with room for 10. Loaded with go-fast goodies like a rotating wing mast, retracting bowsprit, high-end deck gear and boasting an unloaded weight of just 1,800lb thanks to its vacuum-infused, carbon fiber-reinforced construction, the boat has a beam of just 8ft 2in with floats folded and can easily be trailered. If you want to leave bigger boats bobbing in your wake and like to feel wind in your hair and spray on your face, this could be the small multi for you. If you like to sail flat but also want some comfort, France’s Astus Boats has a line of small trailerable trimarans from 16ft to 24ft, the latest of which is the Astus 20.5, which boasts design input from multihull hotshots VPLP. Slippery hull design and wave-piercing bows on the retractable floats add up to an increase in performance over previous models. Two versions are available, depending on how sporty you want your boat to be, with a choice of interior layouts designed to suit either a small family or a cruising couple. Tents can be rigged over the trampolines for comfortable al fresco sleeping. 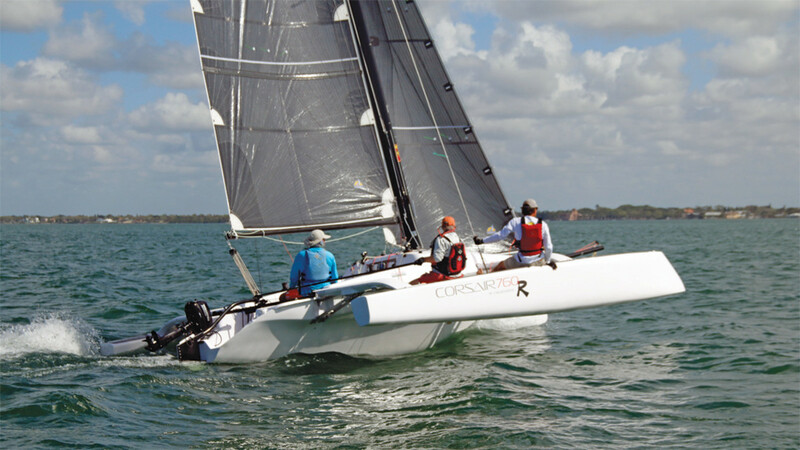 Slovenian builders Seascape has carved out a nice little niche with their quick, seakindly all-rounders that defy categorization—their 24-footer is reviewed on p26—and now they have branched out into the dinghy field. The Seascape 14 also made its debut at the Düsseldorf show. 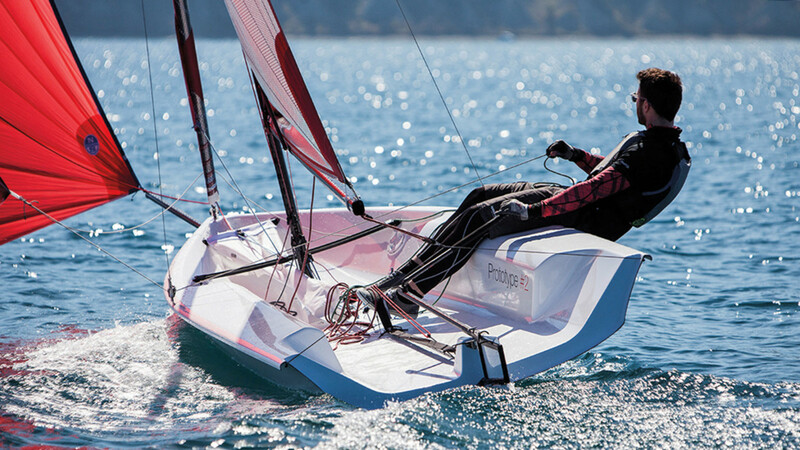 It’s simultaneously an entry-level dinghy and a high-performance boat that’ll get on the plane with a crew of two, thus catering for all skill levels. All you do is add sail area. The boat will sail perfectly well under main alone so you can putter around enjoying the scenery, then, when you want some thrills, you rig the jib and/or spinnaker, hike out and away you go. With a foam-cored hull weighing in at under 150lb, the boat can be transported on the roof of your car and pulled up on the beach with its clip-on launching wheels. Does the world need another dinghy? Who knows, although this one does look like a heck of a lot of fun.